Curcumin was found to be a very potent antioxidant with anti-inflammatory properties. Inflammation is thought to play a huge role in the development of AD. Curcumin may also improve cognitive functioning in people with AD. A growing body of evidence points to the possibility that curcumin helps to lower oxidative stress and reduce free radicals, as well as lowering the level of beta amyloid in the brain. Beta amyloid is known as a hallmark symptom of AD. Turmeric has been found to have so many health promoting properties that there are currently over 10,000 articles published about the benefits of this amazing spice! In AD, chronic inflammation of the nerve cells is one of the primary pathological symptoms. In research studies, the use of nonsteroidal anti-inflammatory drugs (such as ibuprofen) resulted in a reduced risk of developing symptoms of AD. However, with long term use, NSAID’s are toxic to the liver and kidneys as well as the GI tract. It just so happens that turmeric is thought to have potent anti-inflammatory effects without any side effects. Studies have found that curcumin is a very strong inhibitor of inflammation. According to a National Institutes of Health report, there have been over a thousand animals and human studies on the effects of curcumin on different diseases (including studies on turmeric and Alzheimer’s prevention). Study results indicate a much lower incidence of AD in those who ate curcumin on a regular basis. The levels of beta-amyloid (a hallmark symptom of Alzheimer’s in the brain) were lower in lab studies of mice with AD who were given low doses of curcumin. In fact, the beta-amyloid levels decreased by 40% compared to the mice who were not given curcumin. Although no serious side effects have been reported from the use of turmeric as a supplement, minor symptoms have been reported. These include, GI upset, chest tightness, skin rashes and swollen skin. These side effects all resulted from high doses. According to a study, published in Planta Medica, combining black pepper (which contains piperine) with turmeric improves its absorbability throughout the entire body. In the study, 20mg of piperine was added to 2,000 mg of turmeric. Adding piperine increased the bioavailability of turmeric 154 percent. Drink turmeric tea-heat full fat canned coconut milk with turmeric, ginger, a tsp of coconut oil and black peppercorns. Strain out the peppercorns and add some stevia and cinnamon to taste. Eat curry dishes frequently, one delicious dish made with turmeric is curry carrot soup. 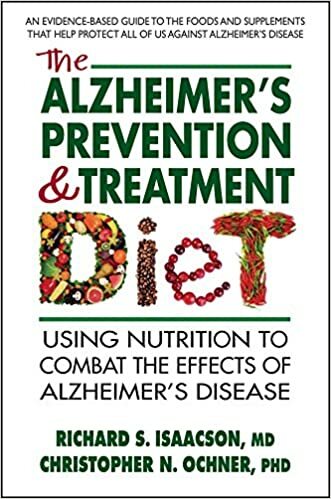 Learn more about Alzheimer’s prevention by CLICKING HERE to view the book “The Alzheimer’s Treatment and Prevention Diet,” written by Harvard trained neurologist, Dr. Richard Isaacson.